From Label – This should be your company name as most people will recognize your company more quickly than say, your personal name, and since you have just a few seconds to get someone to open your email, you want quick recognition. Subject Line – Once your reader understands who sent the email, the subject line is what will entice them to open it. Write something catchy or interesting, but also informative. We even have a handy tool to help you create eye-catching and mouse clicking subject lines here. Social Sharing – Make it easy for your recipients to share your email on popular social media networks like Facebook, Twitter, LinkedIn and Pinterest. Pre-header – We can’t talk about this enough! Some email browsers (like Gmail) and mobile phones pull the first line of text in the email into the subject line, which can be seen in the preview pane. Take advantage of this feature to get better open rates. Table of Contents – If you have a lengthy email, include a table of contents to get your readers to great information found further in your email. Content – An email without engaging and relevant content is just another email in a reader’s inbox. Send your subscribers what you promised when they signed up for your list and always ensure it is useful, helpful and informed. News– Including blog posts, third-party articles, statistics, and industry news that’s relevant to your business and recipients will keep your email readers engaged. Plus, your readers will look to you as a knowledgeable resource – just make sure to give appropriate source credit. Keep in Touch – Include several ways to get in touch with your company, including a link to email your business. If you have a brick-and-mortar store, also include business hours. Forward to a Friend – Including this link will allow your readers to share your great content with their friends or colleagues. And anyone who receives an email forwarded this way will have the option to be added to your mailing list – an easy and free way to keep your email list growing. Call-to-Action Buttons – Buttons are more compelling to click than text links, and easier for mobile readers to touch. Include a couple call-to-action buttons in your emails and you could see your clickthrough rate go up. 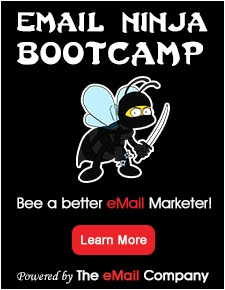 Grab more hot email marketing tips in our 8 Email Marketing Tips You Need to Know. 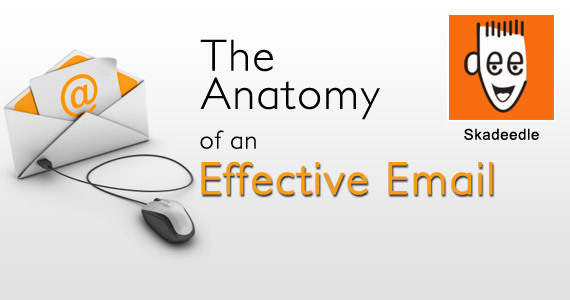 What parts of your email make your email marketing the most effective? Share in the comments.